Breakfast provided was nice. Room was good. Staffs were good. Amenities provided in the kitchen were nice. The room was cheap and the bed was comfortable. There was a good amount of space in the room. Staff were very friendly. The pillow and blanket was comfortable and everything was clean. There is nice winter garden with seats for warm days. 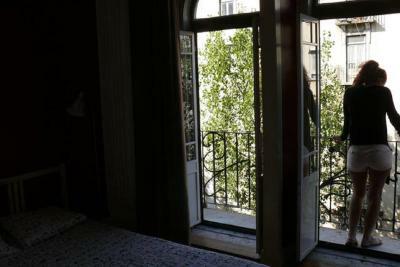 Nice stay, loved the balcony and the size of the room. Breakfast was very good. 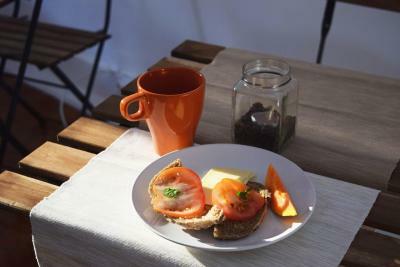 Everything was clean, the room was very nice and the staff was very helpful, breakfast was nice as well. Stuff is nice. I could leave my luggage before check in and after check out. Bathroom was clean. I had my privacy. The bed was surprisingly comfortable but the pillows were so high that it was impossible to sleep on them. Breakfast. 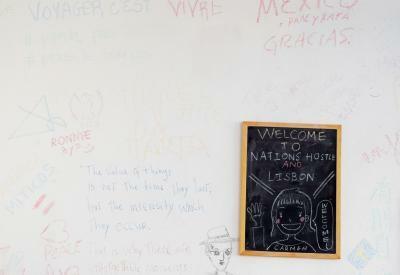 Nations Rooms is located in Lisbon’s centre, 750 yards from Marquês de Pombal Square and its metro station. 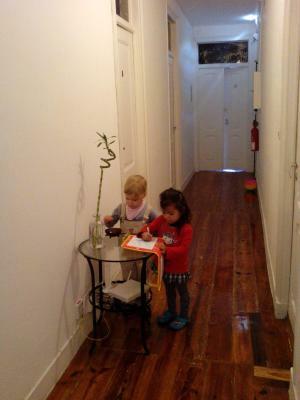 The hostel features free WiFi and provides a free daily breakfast. 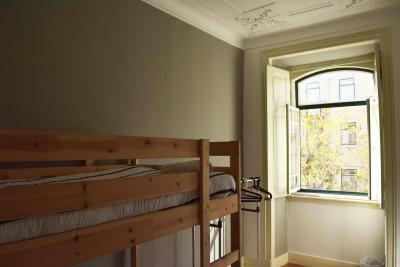 The unit features accommodation in double, family and dormitory rooms. 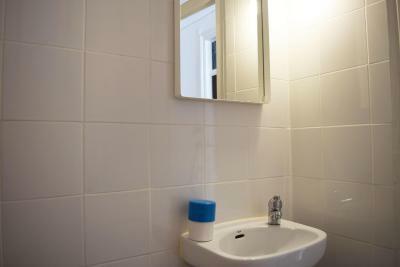 One of the private rooms comes with access to its own private bathroom, while all other rooms and dormitories have access to shared bathroom facilities. 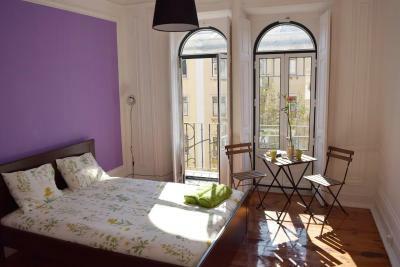 The rooms have access to a shared lounge area. Guests are welcome to cook their own meals in the communal kitchen at their disposal, enjoying them in the shared dining area. 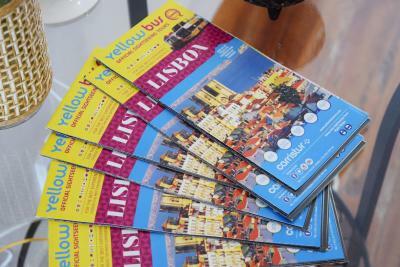 Alternatively, Lisbon’s centre has various restaurants on offer, many within a short 5-minute walk. Liberdade Avenue is 600 yards away and is renowned for its high-end fashion stores and boutiques. Chiado is an 8-minute drive and is filled with historical cafés, eateries and shops, as is Bairro Alto which is a 9-minute drive. São Jorge castle is 1.5 miles from the hostel. 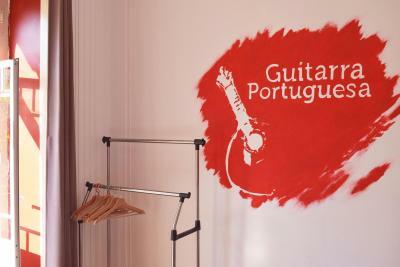 Portela International Airport is 4 miles from the Nations Hostel. Santo Antonio is a great choice for travellers interested in monuments, architecture and friendly locals. 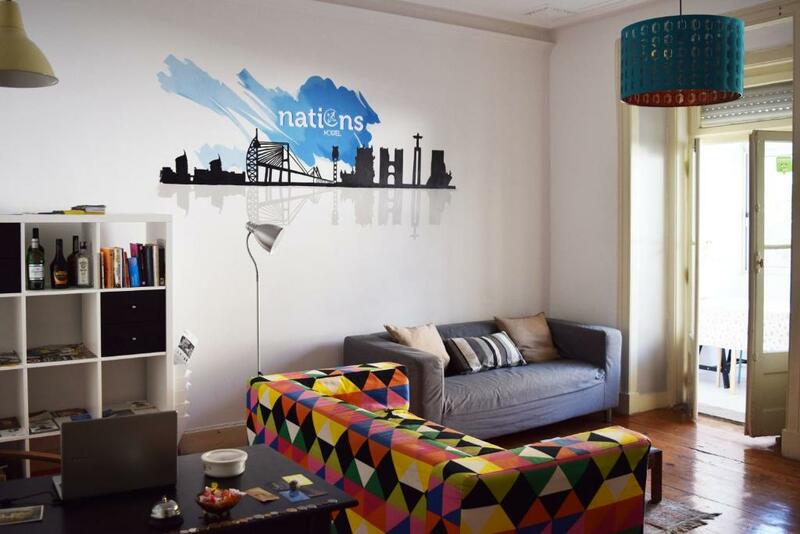 Nations Rooms has been welcoming Booking.com guests since 23 Sept 2014. When would you like to stay at Nations Rooms? 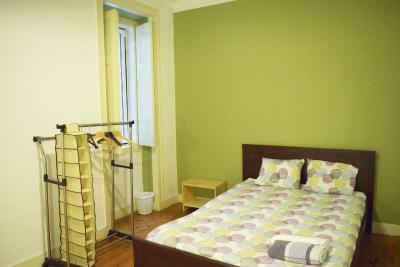 This double room comes with access to a shared bathroom. 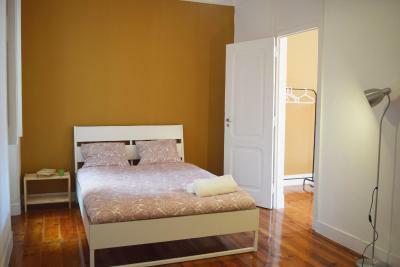 This double room comes with access to a shared bathroom. The unit includes a balcony. 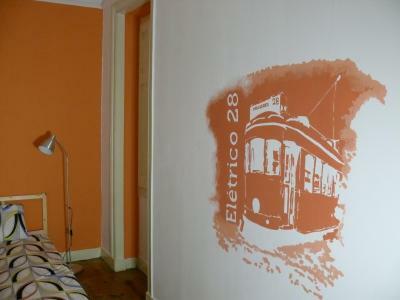 This double room features an external private bathroom and a cable TV. 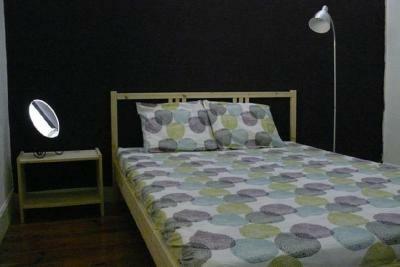 This quadruple room features access to shared bathroom facilities. House rules Nations Rooms takes special requests - add in the next step! Nations Rooms accepts these cards and reserves the right to temporarily hold an amount prior to arrival. 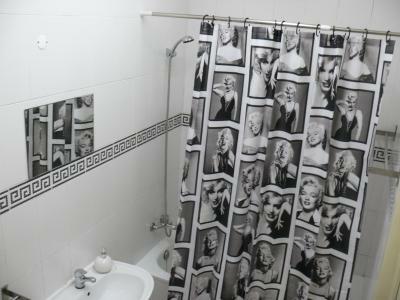 Please note that towels are available for an extra fee. 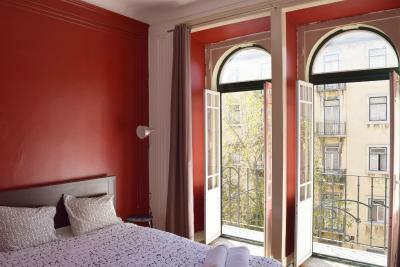 Located on the 3rd and 4rd floor without elevator, check-in only after 4 p.m. which was described so it's ok, but wanted to extend the stay for 1-2 days if possible but in the morning again nobody there. There's no elevator which makes it very difficult to get upto the 4th floor to reach the hostel with all your heavy luggages. And also that they dont clean your rooms until you leave. Which means no matter for how long you book the hostel for, 1-2 days or 7 days the rooms remain unclean till the time you leave. 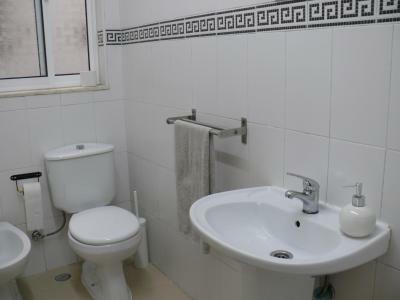 A bit too noisy at night and too many rooms with the same toilet. Not pillowcase and sheets in the single bed. And not floor towel in the toilet shower .Chipped toilet . The floor of the breakfast room with two holes in the wooden floor looked like a mouse house. 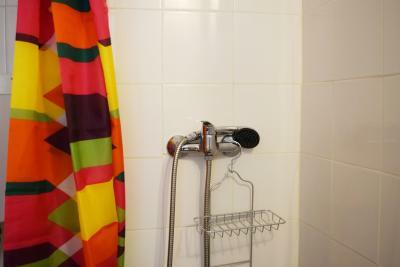 The shower was either too hot or too cold and the beathroom wasn’t in the best condition. A lot of noise in the room from outside and inside (it was impossible to sleep). Very bad quality of breakfast, there was no bread and we have to wait for the staff to bring it. Bad smell in the room. 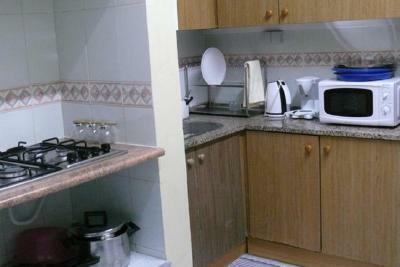 The space can be noisy as you can hear everything from other guests from their rooms, showers and kitchen. Our room was too dark for our taste. There was no table nor wardrobe or big mirror. The whole atmosphere was great. Good job guys!